The second phase of the Garden Heights residential development is located within Bandar Tasik Puteri (BTP) township in Rawang. 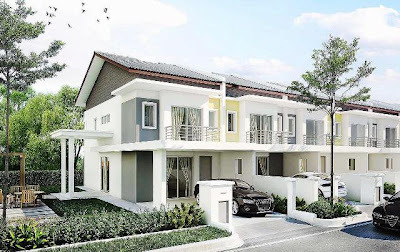 Indah Jaya Development Sdn Bhd, a subsidiary of Low Yat Group, will soon unveil the second phase of its Garden Heights residential development, in Rawang within the 2,670-acre (1,080ha), Bandar Tasik Puteri (BTP) township. It comprises 123 units of valuefor- money double-storey terrace houses with a land area of 18ft by 75ft with a built-up area of 148.64sqm (1,600sq ft). This guarded community known as BTP 4, spans an expansive 6.61 acres (2.68ha). The houses have four bedrooms and three bathrooms each. Its proximity to the KL-Kuala Selangor Expressway (Latar Expressway) is poised to give the over 50,000 (BTP) residents valueadded benefit as a link road will be built to shorten the distance to the Kuala Lumpur city centre. Indah Jaya Development marketing and business development senior manager Joseph Chia said currently BTP residents take about 30 minutes to get to KL via the North South Expressway, Latar Expressway and Guthrie Expressway. “The Latar Expressway already exists, therefore we foresee that a link road in the future will provide greater convenience to residents and boost market appreciation,” he said, adding that Garden Heights Phase 2 is expected to be completed in 2014. As landed properties are becoming few and far between, city dwellers have found comfort in suburban areas that are still within reach via carefully planned expressways. The increasing demand for landed property continues to surge, especially for first-time homebuyers and families looking for a lifestyle upgrade. Garden Heights Phase 2 homes comprise 123 units of value-for-money double-storey terrace houses. Garden Heights Phase 2 is perfect for city dwellers who want to escape from the hustle and bustle of the city, and yet want a landed property within serene and natural surroundings. 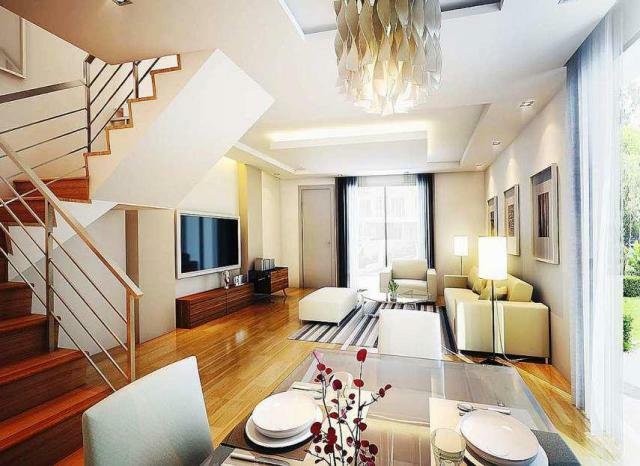 The cost of the two-storey terraces which are affordably priced ranges between RM290,000 and RM478,000. It offers long-term value for homebuyers and boasts spacious, modern designs with a 24ft (7.3m) driveway to fit two cars. Aside from that, the renowned Bandar Tasik Puteri Golf & Country Club, neighbouring industrial facilities and the relatively new Aeon Anggun Rawang Shopping Centre which is 10 minutes away, adds to the market appreciation in BTP. Future phases have been earmarked to comprise double-storey link houses, semi-detached, cluster homes and bungalows boasting modern architecture, in a safe environment within a 24-hour guarded community. Bookings for Garden Heights Phase 2 started on May 26 with a fee of RM1,000. Prospective buyers will also enjoy early bird discounts, no legal fees for loan and Sales & Purchase Agreement (SPA) and Developer Interest Bearing Scheme (DIBS). Low Yat Group is a well-diversified developer and investment group in Malaysia. The group, which was initially involved in private and government construction projects, has now diversified into trading, manufacturing, plantation, hotel and tourism industries in Malaysia, Japan, Australia, China and Indonesia.